Wollongong in the nineties was fertile ground for young, aspiring musicians keen on establishing themselves in the industry. Tumbleweed had made an impact both here and overseas, and in doing so had inspired many kids to form their first band and hit the all-ages stages in the hope that rock music would save them from the cultural mediocrity and massive unemployment that eighties had brought upon Wollongong. VOX FM had starting airing 'Doing It Locally' - a weekly program dedicated to highlighting the local talent, and the Wollongong Youth Centre was a regular venue for artists passing through that wanted an all-ages audience. This also gave young local bands vital experience in supporting national and overseas artists. 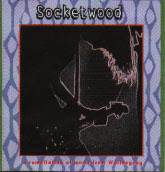 In 1994 the Youth Centre, together with Skillshare (now 313 Training) produced Socketwood, taking the honour of being the first all-Wollongong alternative rock compilation (pre-dating No Dress Regulations by 3 years). A working party consisting of youth workers, VOX presenters, local musicians and Skillshare employees advertised for submissions and then undertook the process of culling and recording selected entries. The result is 74 minutes of youthful enthusiasm put to music. Not surprisingly many local bands of the day looked to the Seattle grunge scene for inspiration following the explosion of bands such as Nirvana, Soundgarden and The Melvins. Somewhat ironically, many of these Seattle acts cited Australian influences such as Radio Birdman, The Saints and The Hard-Ons who, in turn, had been largely influenced by the Detroit music scene of the sixties. The result was a distinct Wollongong sound that is well documented here with the now-legendary acts such as Shifter, Evol and Fulltab. Despite the overarching guitar-driven sound of the area, there were naturally those that bucked the trend, choosing to operate in a singer/songwriter capacity or using electronics as their instrument of choice. Socketwood attempts to provide a balance in representing all local artists, but at the end of the day, the high-energy, frustrated sound of guitar-bass-drums spoke loudest. Thanks to Honora Jenkins for providing some crucial background information.